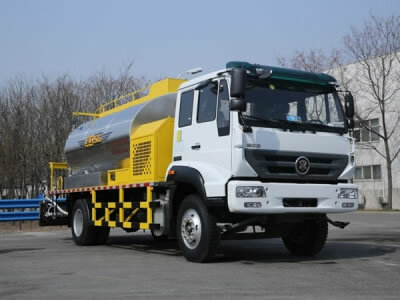 Gaoyuan is a leading asphalt distributor truck manufacturer with over 15 years of experience in manufacturing road maintenance equipment. 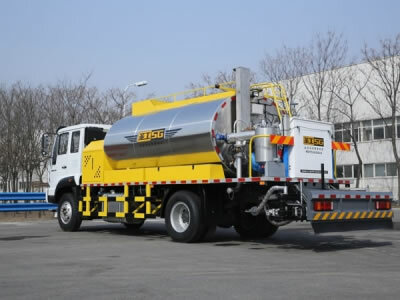 Our asphalt distributor truck with 8000 liters asphalt tank is designed for large scale road construction jobs. 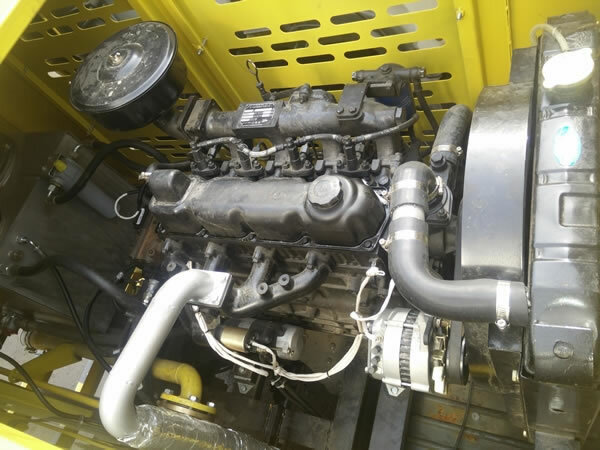 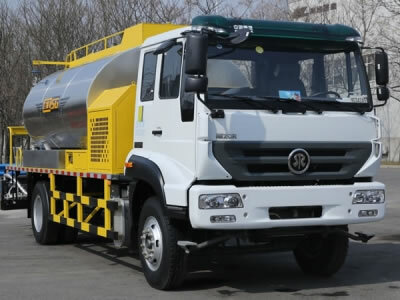 It has high engine power of 210HP, the asphalt is heated by thermal oil with automatic temperature control. 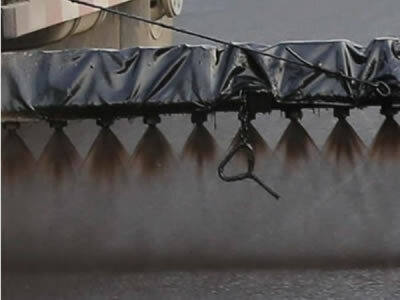 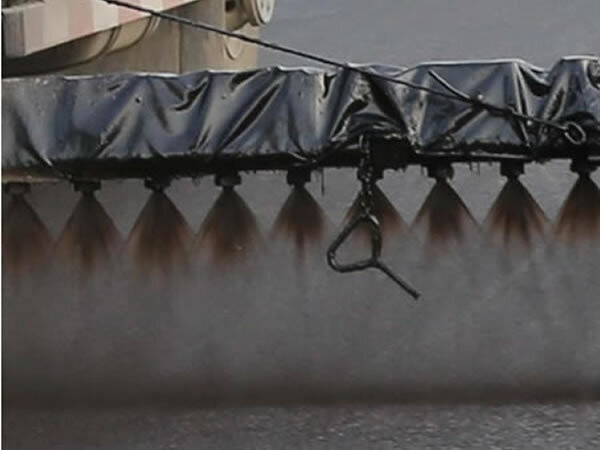 The asphalt distributor can spray heated asphalt with manual or automatic modes. For automatic control, the operator just needs to set the spray volume and the truck can open the speed detector automatically. 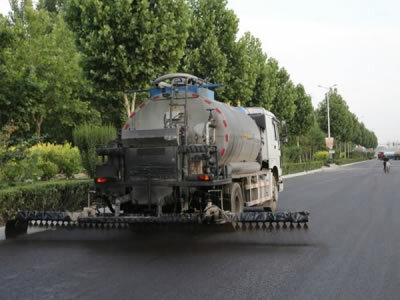 Then, the automatic control system will adjust the rotating speed of the asphalt pump according to the vehicle speed, and it makes the asphalt pavement evenly. 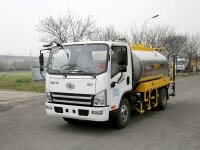 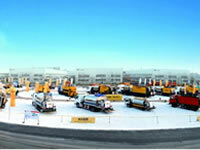 Please note: The parameters of asphalt distributor truck can be customized. 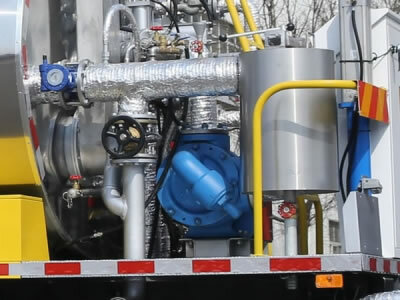 Equipped with an auxiliary engine for heating the asphalt during transport. 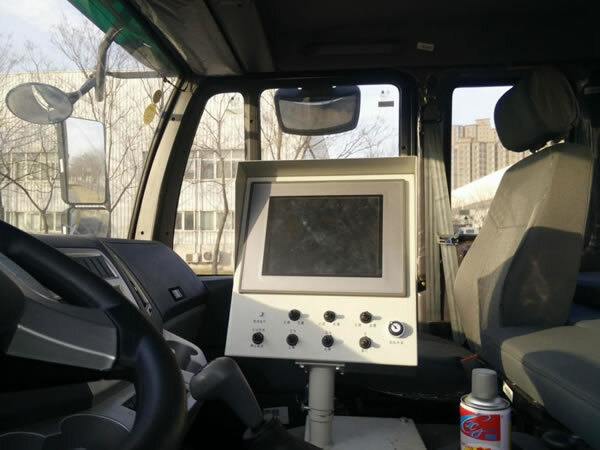 By thanks to this, the construction time is shorter, and the work efficiency can be increased. 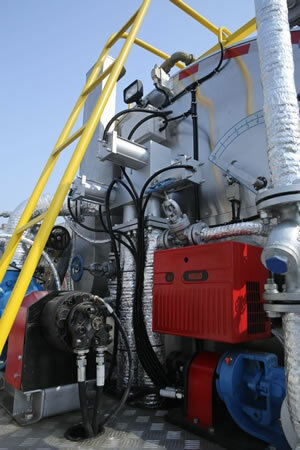 The asphalt tank is equipped with diesel burner to achieve high combustion efficiency, high heat rate, as well as safe and stable operation. 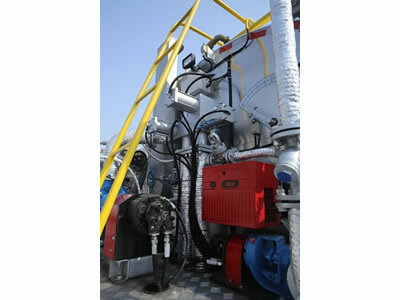 The high precision spray nozzle equipped can guarantee uniform spray and superior spraying effect. 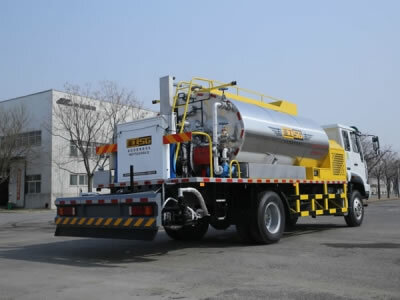 The asphalt pump adopts the gear pump purchased from Viking for good performance of self-priming, wide range of rotation speed, good sealing performance and stable flow rate. 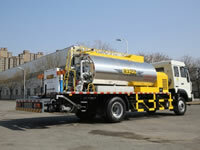 The asphalt distributor truck can be operated in the operator cab or on the rear operation platform. 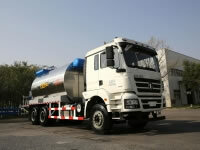 Here we provide other asphalt distributor trucks with smaller asphalt tanks like 4500 liters, 5000 liters and 6000 liters. 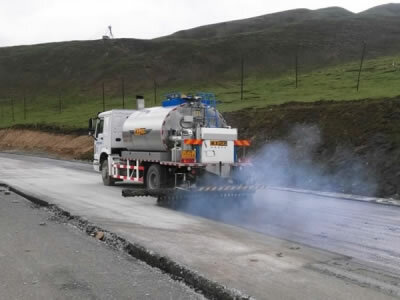 For more asphalt repair and maintenance equipment, we have the examples in the product list, from the asphalt and bitumen production, to asphalt distribution, and chip seal and micro surfacing of the asphalt pavement, we have wide range of road machinery to meet your demands.